Good Morning, I am a little in awe that 2018 is just around the corner and it seems another year has melted right away. I have another quick post.. I guess they all are ;). I used lots of layers for the panels that were die cut with stitched rectangles. I heat embossed the sentimnet then added a couple of brads. 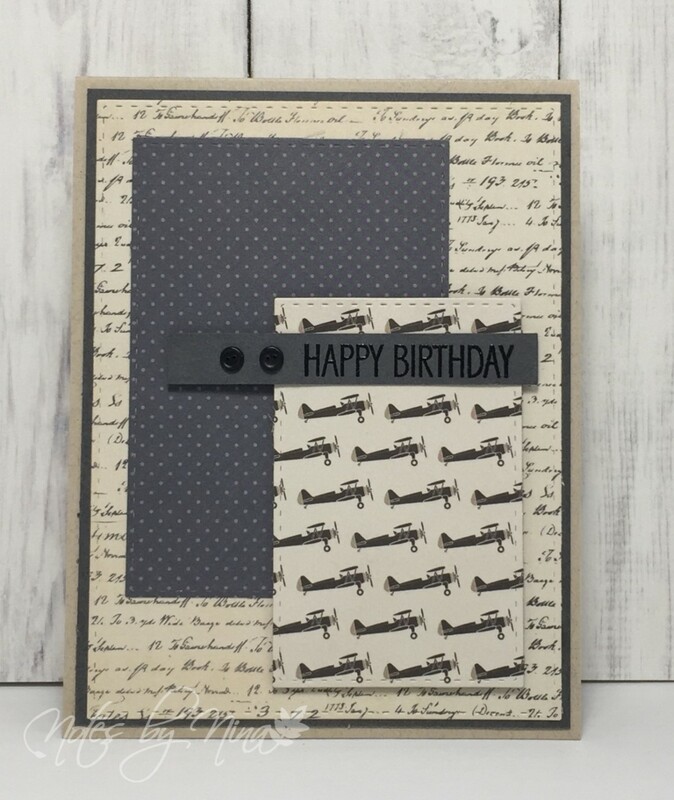 Supplies: Kraft and Gray cardstock, Designer Paper - Carta Bella, Avery Elle - City Celebrations, brads. 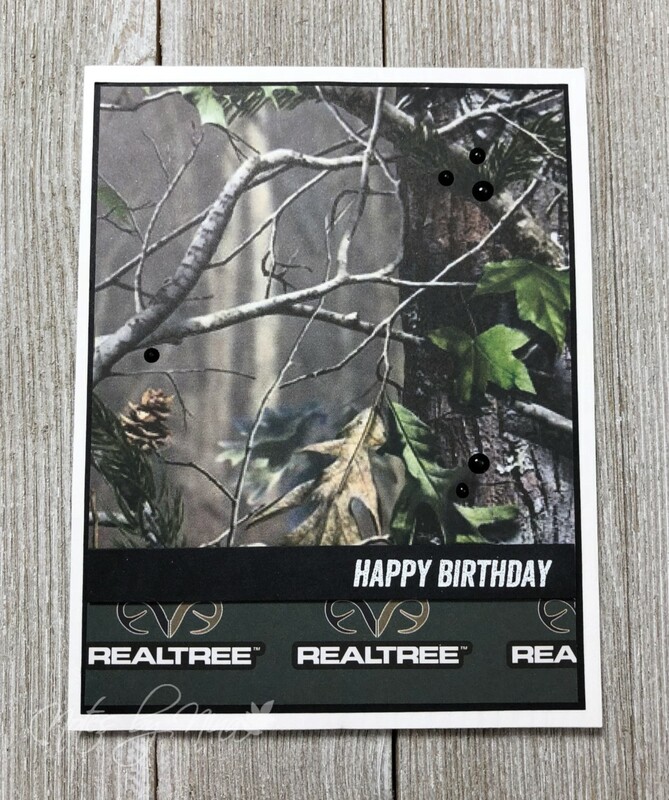 I love how this grunge style paper works well together for this masculine birthday card. I used a base layer of black then added different patterns with each additional layer. I heat embossed the sentiment then added button like brads to finish. 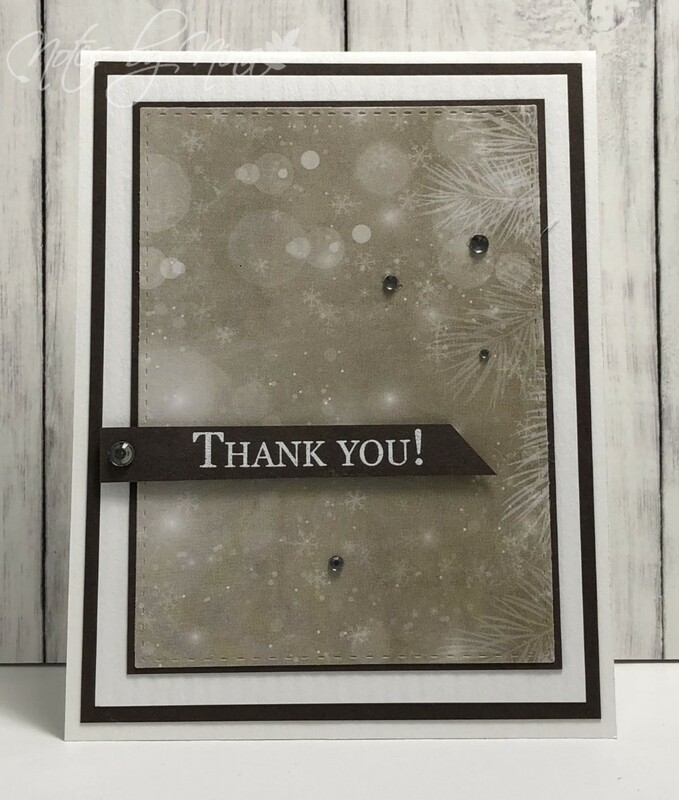 Supplies: White and gray cardstock, Designer Paper - Scrapberry, Avery Elle - City Celebrations, brands. I went with a clean and simple design on my card today, I have a number of layers to frame this pretty panel of paper. I heat embossed the sentiment then popped it up with foam tape. I finished with gems. Supplies: White and brown cardstock, Designer paper - Bo Bunny, Technique Tuesday - Greenhouse 08-12, gems. We have a new Merry Monday Christmas card challenge, Kelly is our hostess and her challenge is to Create a Christmas card using diagonal, horizontal, or vertical line. I went right down the left hand side for this challenge. 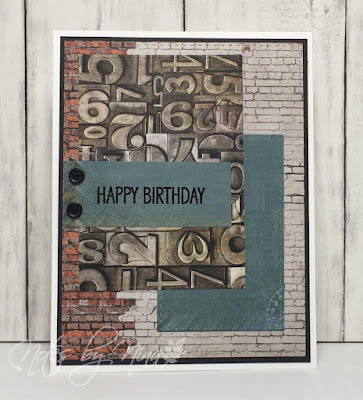 I stamped and heat embossed the sentiment popping it up with foam tape. 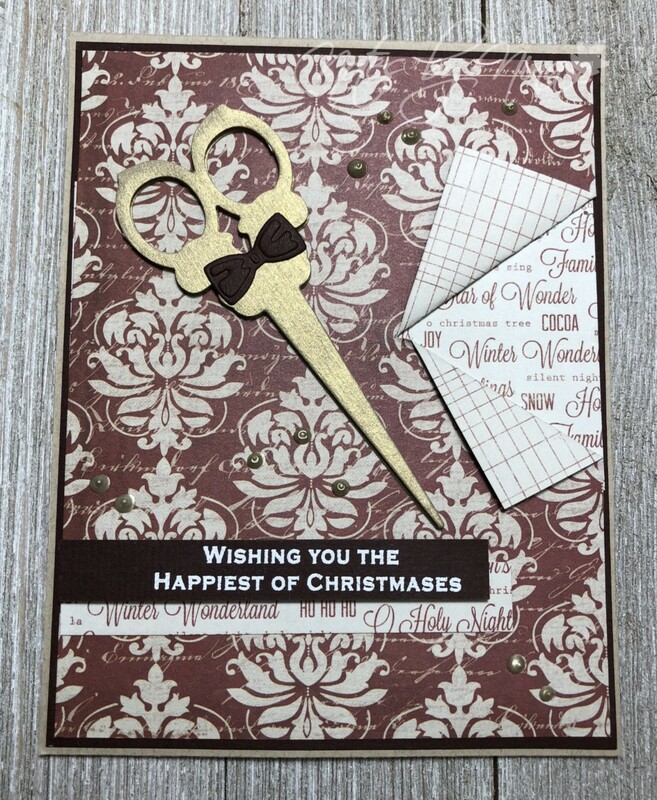 I used a die cut for the scissors and the bow, this is a card for my stylist so I had to get them in somewhere. For the final line item I used DP that is a rich wintery burgundy, that is in the family of red.. yes? I added a layer of paper underneath and cut it as if it is being peeled back. I finished with some gold Nuvo drops but I find they don't settle the same way the plain black ones do so I must be doing something wrong. 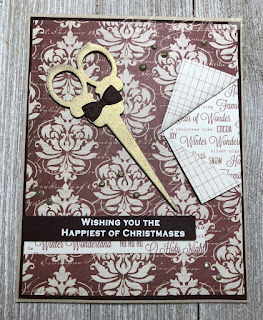 Supplies: Kraft and brown cardstock, Designer Paper - Teresa Collins, misc die cuts and Nuvo drops. 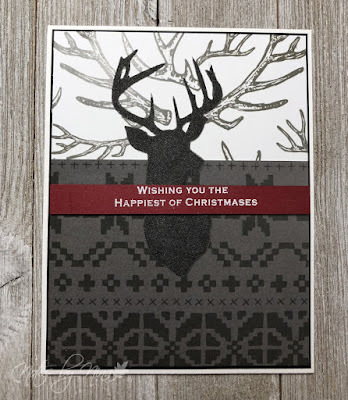 I used lots of layers for this card, I pulled out my stitched die cuts for all the rectangle layers. 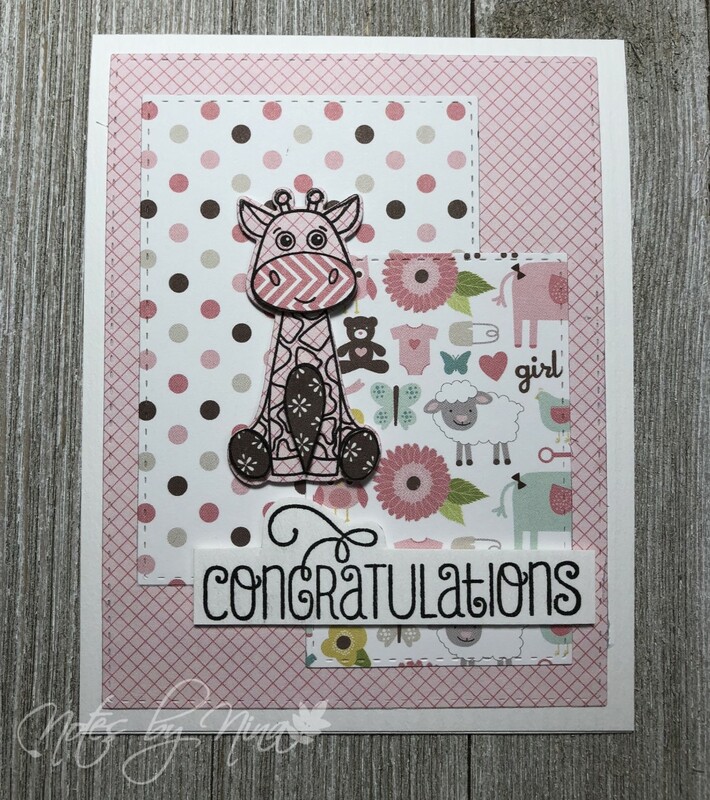 I stamped the giraffe multiple times and die cutit. I then fussy cut all the small bits and popped them up with foam tape for a 3D look. 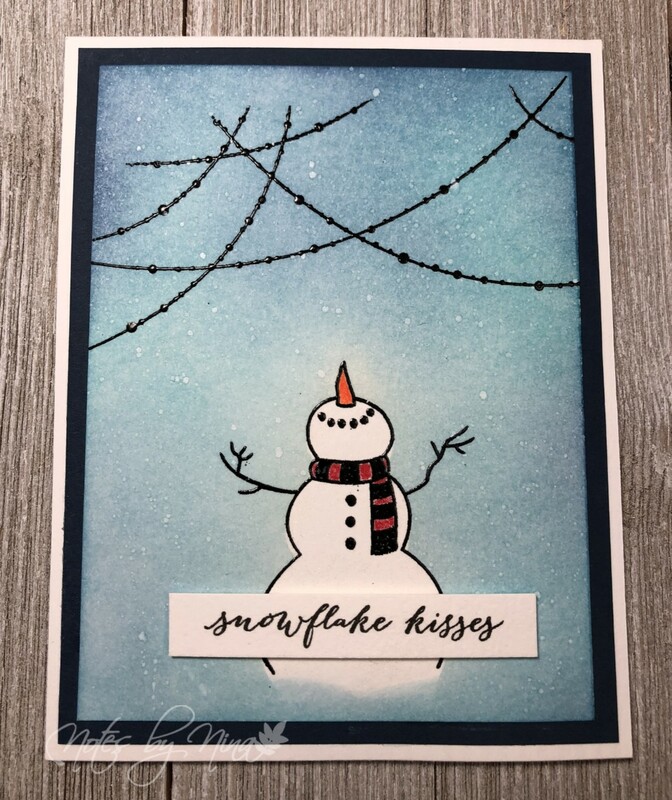 The sentiment is simple stamped then popped up with foam tape. 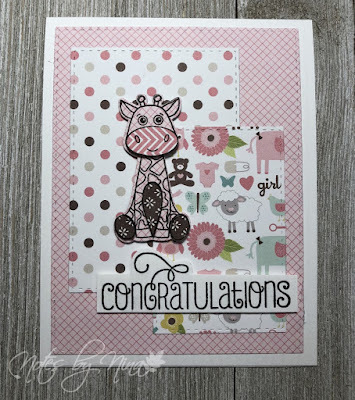 Supplies: White cardstock, Designer Paper-Echo Park, Mama Elephant- Bountiful Blessings Simon say stamps - Stamps and die cuts. I have been pretty lucky this past year to acquire a great selection of paper pads that make it easy to put together quick and easy cards. I will admit that it should be easy but I always futz and it takes me longer to put it all together ;). 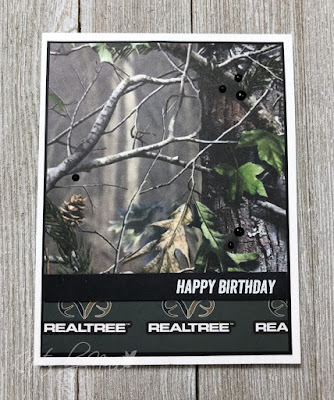 With this card, I used an easy design and pieces together two different patterns and matted them with black cardstock. 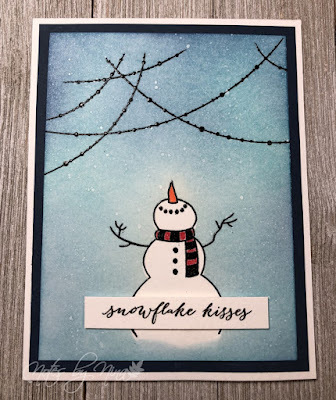 I added a sentiment that is embossed in white and popped up with foam tape. I then finished with Nuvo drops. Supplies: White and black cardstock, Designer Paper - Uniformed, Poppy Stamps-No truffle at all, Nuvo Drops. This morning I have a thank you card to share. I did not realize that the colour was a little washed out in the picture but you can still see the design the lovely papers. 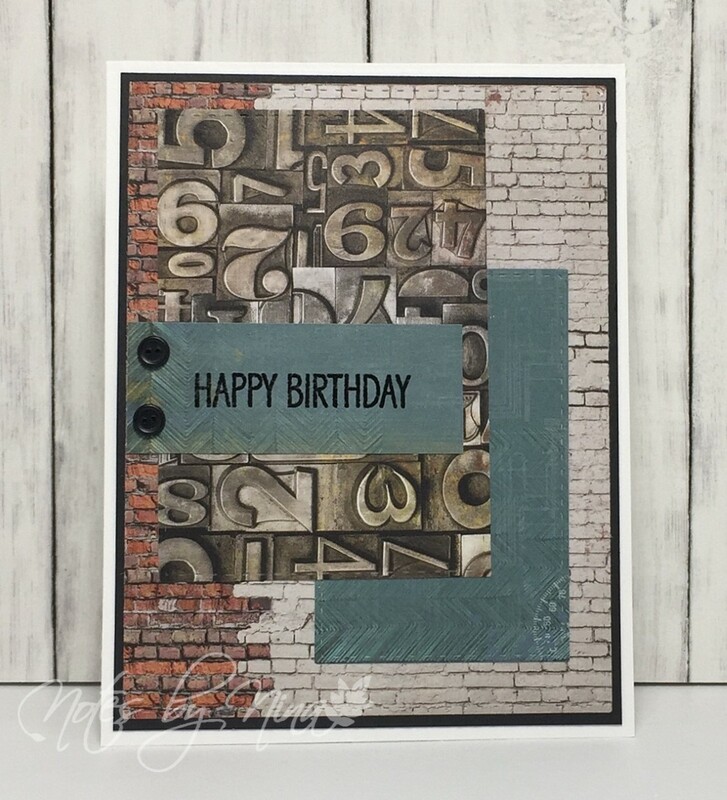 I used simple layers for most of the card, the Simon Says stitched dies always add a nice finished edge, I stamped sentiment then die cut it, I added a larger layer of blue below and popped it up with foam tape. I finished with gems. 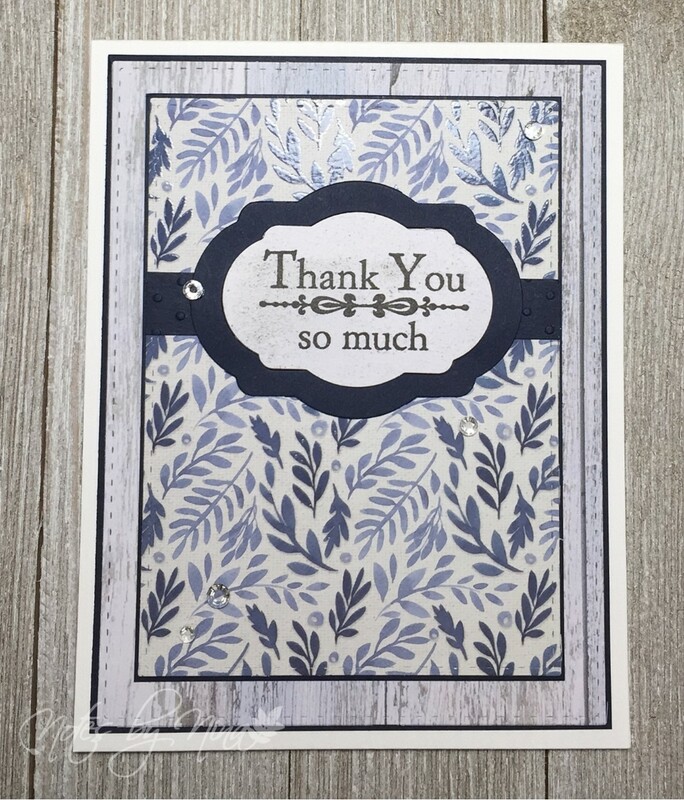 Supplies: White and navy cardstock, Designer Paper - Kaisercraft, Inspired by Stamping - stamps and die cuts, gems. We have a new Merry Monday Christmas card challenge for you today. Debbie is our hostess and her challenge is to Create a Christmas card with tree of the inspiration photo colours. I used blues and red on my card. I used layers of blue and red cardstock to matte my designer paper. 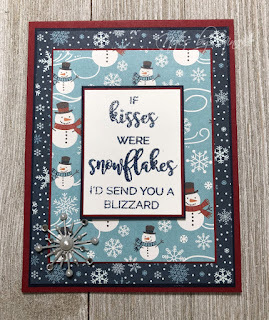 I heat embossed my sentiment with a blue glittery embossing powder. The sparkle played tricks on the camera, the sentiment is actually not missing parts of the letters. 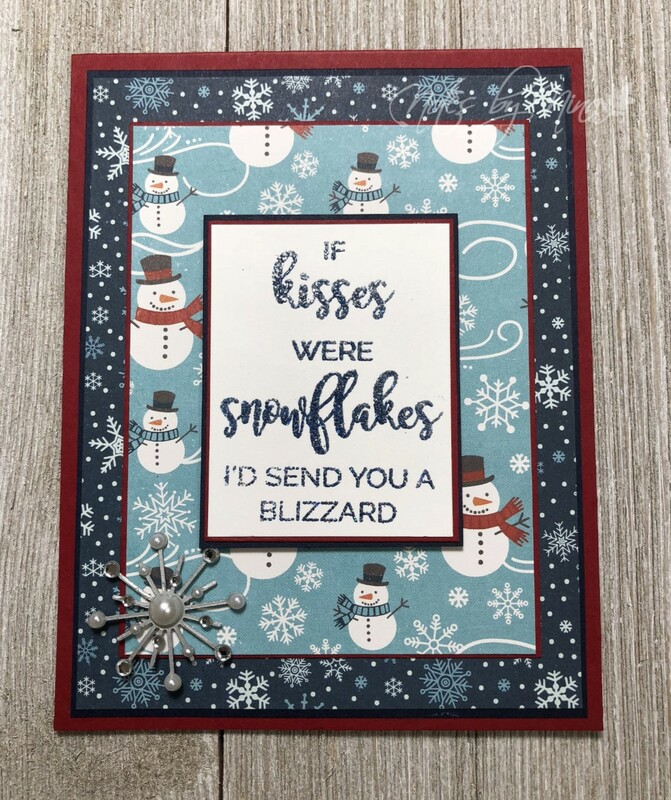 I backed the sentiment with some foam tape and finished the card with a large snowflake brad. 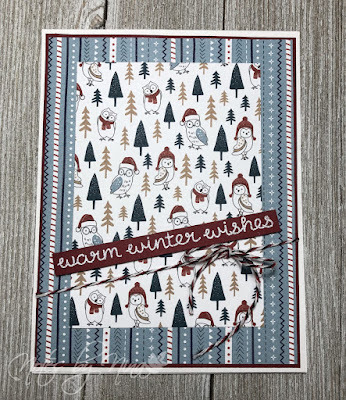 Supplies: Red and blue cardstock, Designer Paper - Echo Park, Penny Black - Yuletide Wishes, brad. 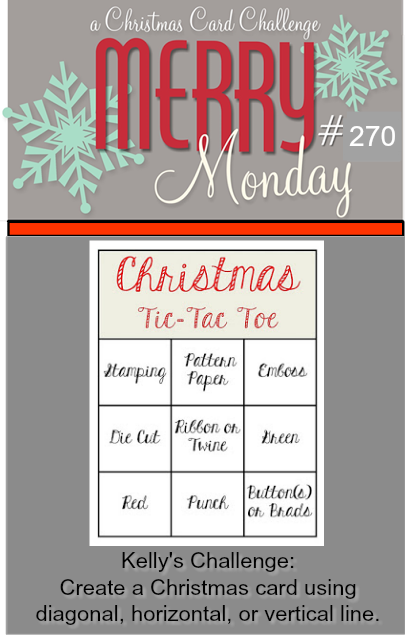 Be sure to stop by the Merry Monday blog to take a look at all the cards created by the design team. 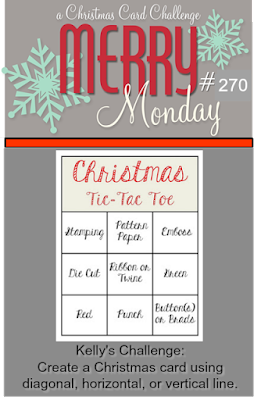 Play along with another fabulous challenge. 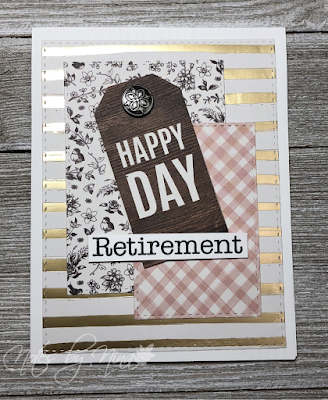 Good Morning, I have a quick post for you this morning.I used quick layers for my card, adding some detail with stitched rectangles. The sentiment is heat embossed and the tag and sentiment are popped up with foam tape. I added a vintage style brad. 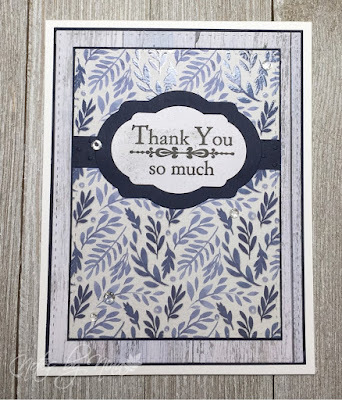 Supplies: White cardstock, Designer Paper - Pebbles Inc, Woodware sentiment, brad. 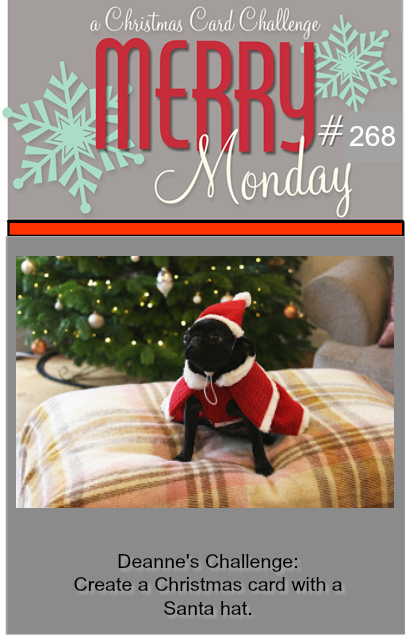 We have a new Merry Monday Christmas card challenge for you today. Deanne is our hostess and her challenge is to Create a Christmas card with a Santa hat. I can't seem to catch time to craft these days, I am so happy I have papers that allow me to create cards quickly. I love these adorable little owls.. and look at that..Santa hats. 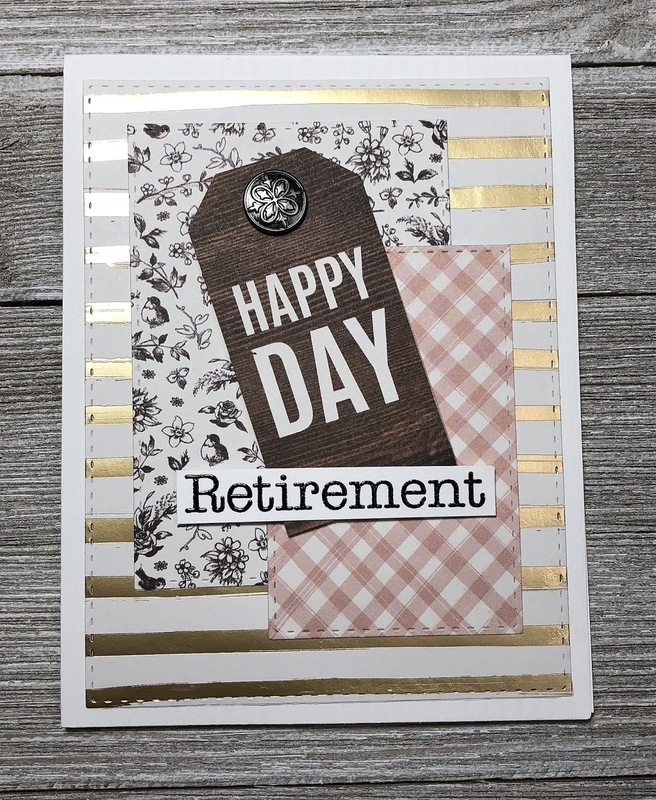 I used simple layers for my card, I heat embossed the sentiment then popped it up with foam tape. I finished with twine. 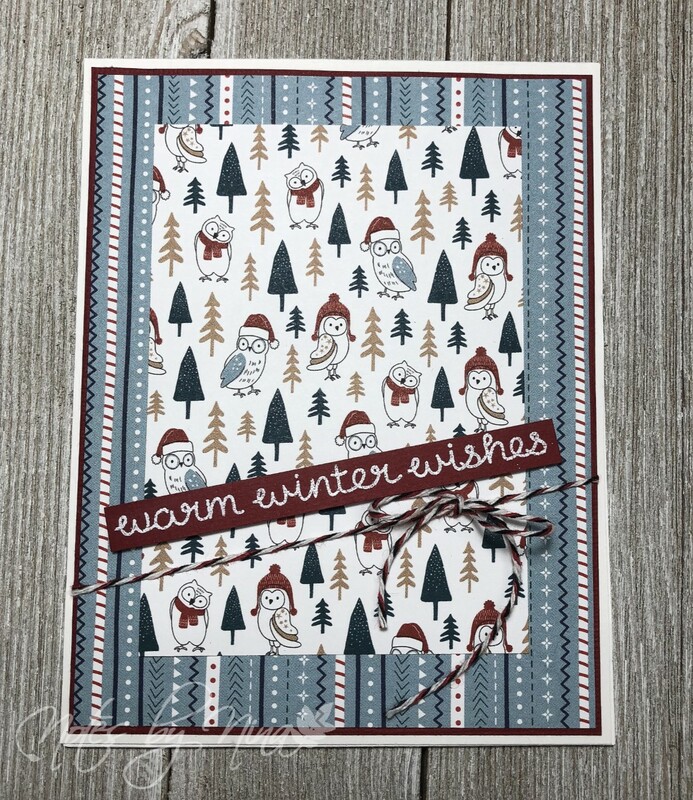 Supplies: White and red cardstock, Designer Paper-Bo Bunny, Lawn Fawn - Baah humbug, twine. 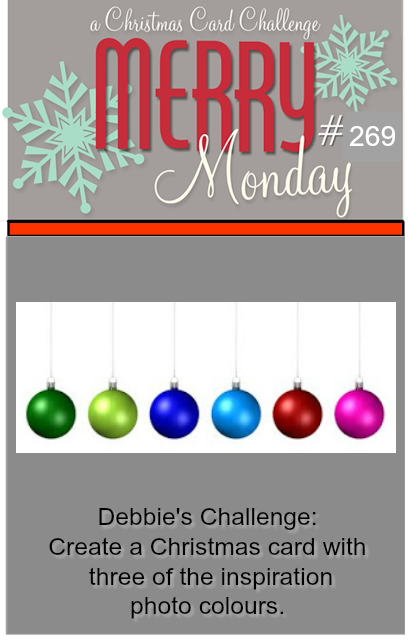 Be sure to stop by the Merry Monday blog for lots of wonderful inspiration.